The 400 & the 500 are cheaper, if you get the Europe version that by contrast is more expensive. Interactive Map. Put the world at your fingertips. Simply zoom in and out to find and explore places on the map with your fingertips. Tap on the map to get an instant route to your destination. Tap on the map and you’re on your way. Use Tap & Go to instantly get a route to your destination. Save time and get moving faster. Drive with world-class traffic information for the life of your device. Get to your destination faster with precise and accurate, real-time information. TomTom Traffic pinpoints exactly where delays start and end so you always know your fastest route. Always drive with the latest map. Get to your destination faster with Lifetime Maps. For the life of your product, you can download 4 or more full updates of the map on your device every year. 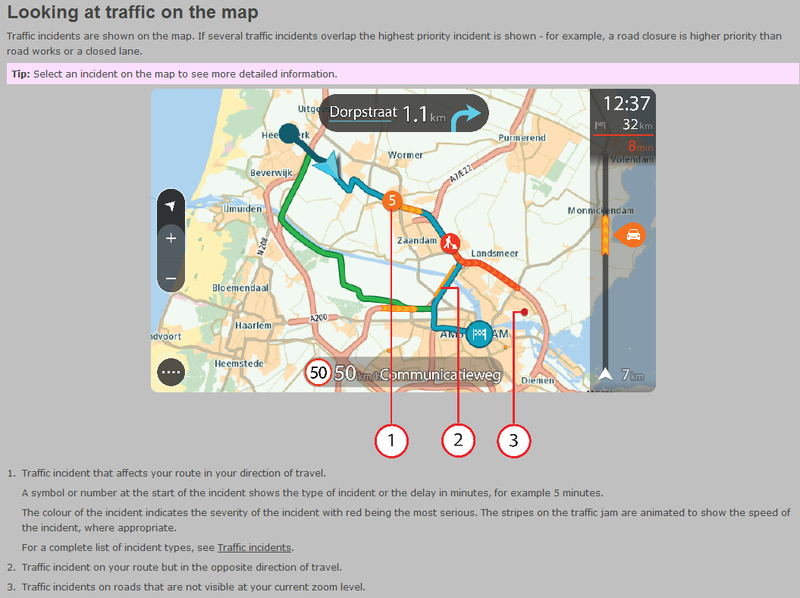 You receive all updates to the road network, addresses and Points of Interest. QuickGPSfix speeds up the time it takes to fix your GPS position to help you drive off more quickly. Zoom in and out to explore the map with your fingertips. Simply Pinch to Zoom on the interactive map to find places and explore more of the world around you. 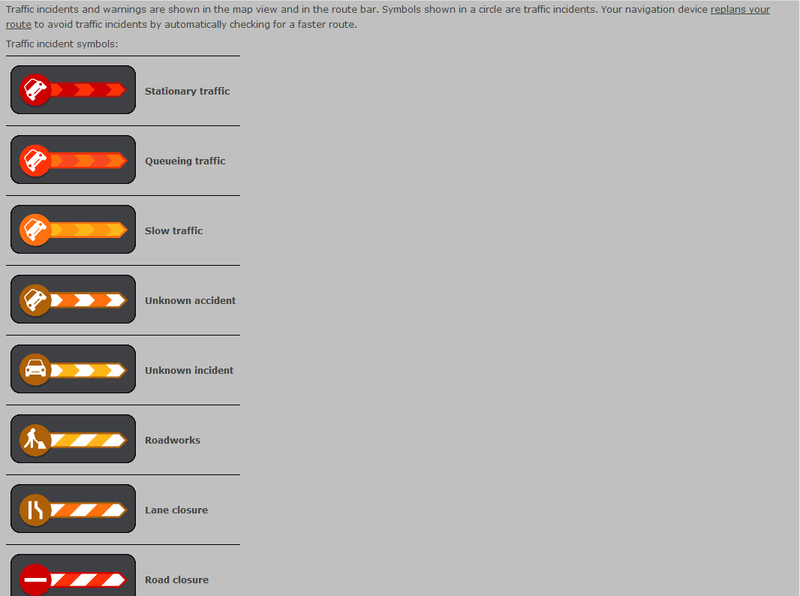 Essential traffic and travel information at a glance. The Route Bar shows precise traffic and speed camera information on the road ahead. Get TomTom Traffic via your smartphone with Bluetooth connection. 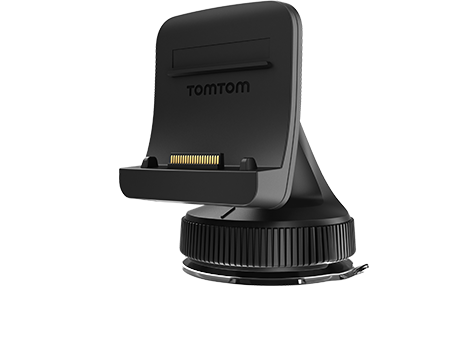 Your TomTom device is ready to receive TomTom Traffic by connecting to your smartphone via Bluetooth®. See buildings and landmarks in stunning 3D. With 3D Maps, you’ll always know exactly where you are. Drive more relaxed with alerts for speed cameras ahead. 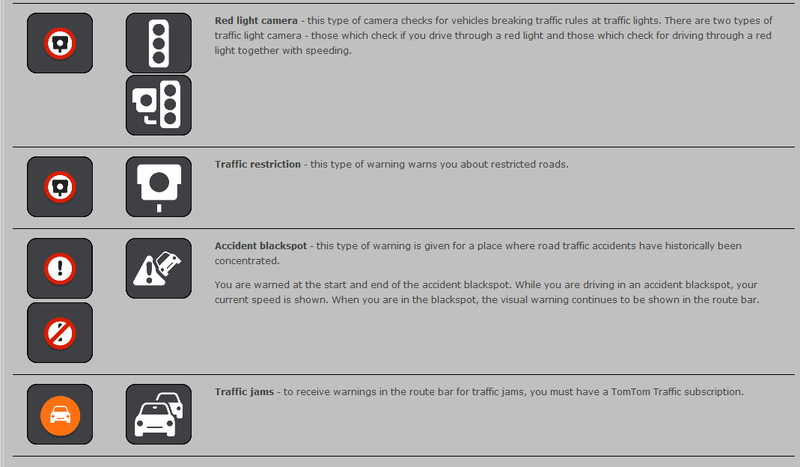 TomTom Speed Cameras provides alerts for fixed speed cameras and average speed zones and when your device is connected, mobile camera locations. See your favourite locations on the map. Personalise your map with My Places so you can easily find and navigate to your favourite locations again and again. Safe and easy navigation on the BIG SCREEN. See your next instruction better on our biggest and sharpest screen yet. Bigger menus and buttons on the extra-large 15 cm (6″), high-resolution screen make input a touch simpler. Ok confession time, I am useless at directions and I always get lost. I must be the only bloke to walk this planet who winds the window down to ask people for directions. The wife on the other hand is like my own personal talking map, she never gets lost and is like a homing pigeon. Am I jealous? Yep, big time. Within a few weeks of being with my girlfriend, now my wife, bought me a satnav. She bought me a TomTom 920T because “you need it, bad”. She was right and I will never be without one again. My faithful old TomTom has taken me to places I have never heard of when I needed to, I have never been directed down a reservoir or train track as people often complain about. My old satnav wouldn’t hold a charge for the battery any more, it sometimes switched itself off and sometimes it needed a hardware reset as the voice stopped working. As it’s over a good few years old now it was time for an update. That update was the TomTom Go 600. I got it within a few days of being launched and there were no reviews at the time. This was a fairly expensive hunch, the adverts were impressive, people were talking about it and the 600 was bigger than my other one. But is it any good? I will try to steer away from the resolution this, or resolution that. I will try to come at this from a man’s point of view who loves his gadgets. There is not a lot in there when you open the box up. Yes there is this big screen that just tries to out stare you back. I was shocked at just how big this actually is in comparison to the old one. The six-inch screen looked like a TV monitor in comparison. There was a usb lead, 12v car socket adaptor, a suction holder and a flimsy quick guide paper, that’s about it. What does give me the hump is that there is no manual any more in these things. Yes it saves trees and I can download it via PDF or html. 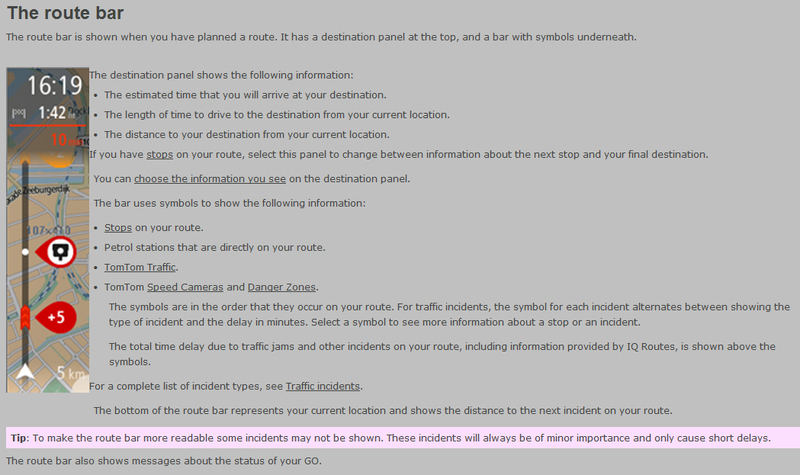 That’s not the point, I want to read what all the little symbols mean. The one thing I think they should put in is a screen protector like the smart phones have but they don’t, they sell them of course though. The protector would stop scratches and glare, take note TomTom! The unit itself is quite heavy and has been rounded off on all the edges and looks quite simple but designed well. A single button at the top on the right is all you see, holding down for a second or two stirs the unit into life with the familiar drums sound. The unit is in full screen mode at thirty-one seconds. Nice. To turn the unit off you press the off button and you are prompted for sleep or turn off options on the screen. You can put the unit to sleep instantly by a quick press of the on/off button to save battery if not plugged in. 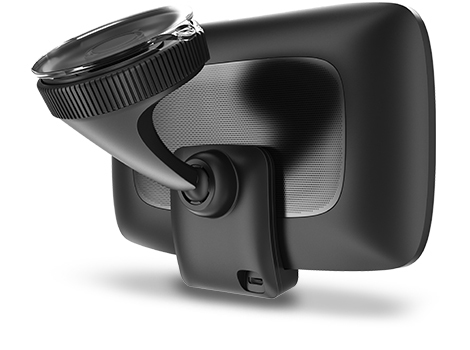 The car suction mount is the full ball and cup design and can be mounted for most angles, such as on the glass or mounted on a suitable dash surface. The business end has two prongs that are beside the connections for the unit that act as a guide to hold the unit on the bracket. The usb cable plugs into the holder at the back out-of-the-way and not the unit itself. Mounting the unit is a simple locate at the bottom first and it will snap backwards and is held tight via the metal grill on the back for the speaker to a magnet on the bracket. The magnet is quite strong and you are able to adjust the angle without pulling it from the mount. To remove the unit hold at the top and roll it forward. The suction end is a redesign, the circular mount doesn’t really show the latex cup apart from the two ears at the sides. Mounting the bracket is simplicity itself, push to the screen and twist the collar at the base ninety degrees and its on, solid. To remove, just untwist and a quick pull of the ear to break the vacuum and its off. All very neat and a vast improvement on the old design that fell off in hot weather. Standard cable length for the lead will fit all the cars I can think of. The advantage is the lead will also double up as the data cable for updating on the PC. Incidentally the connection for this TomTom is exactly the same as my Samsung Galaxy Note 2 connection. I can use one cable for both items. Sorted. I would like to say that I will not be doing a walk through for all the functions, they can be read from the manual which I have downloaded the PDF for you and the link is at the bottom. I will be talking about the main points with a few screen shots. The screen shots were taken during a bright sunny day so a little bit of glare but you can still make it out. 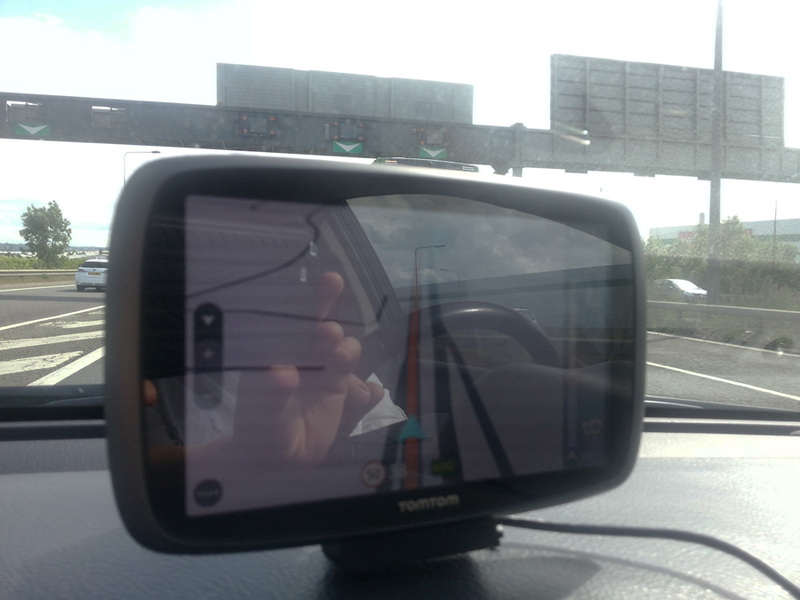 I use my satnav all the time so I like to think I know my way round the screens. The old unit had to go through three screens to clear the route, the new unit one screen from the route menu. That’s an improvement already. The screen is 800×480 (I know I said I wouldn’t, but don’t worry it’s the only reference), pixels and is very clear and sharp. You can still see the screen on the brightest of days. The screen update and scrolling is smooth and the car is pretty much where you expect it to be and not a number of car lengths behind where you actually are. The screen has the interactive functions for double tap, two finger pinch to zoom etc and feels so much more like a smart phone and natural to go through. The screen responds well to touch or tapping. You can zoom right in on a map with a few double taps on the place just in front of you if you want. Handy for checking out the unfamiliar location. Lets get the functions out-of-the-way, my 920T had about eight screen to customise the maps colour, the car pointer, voices, quick dial, emergency numbers, in case of emergency SOS, safe road driving tips etc. 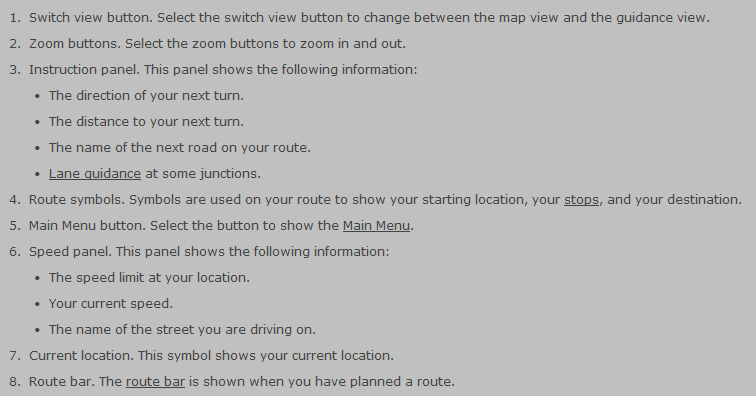 All marvellous and customisable, but let me ask the questions, how many times do you change the map colours? How many times do you read the safe driving hints and tips? How many times do you change the voices? I had different voices etc, After a while it gets very annoying to hear “Luke this is your father, take the next left and you have reached the death star, you used the force well to get to your destination, you will make a great Jedi Knight”. Yeah funny first time or second time, not funny when you take a wrong turn and “the force” is not with you. I turned all that off and I just wanted my directions clear and in a timely fashion. Click on any of the pictures to see the larger and clearer images. To start navigator, press the bottom left icon and there you have the main menu that will slide sideways to show settings. The main screen has search, current route, my places, parking, petrol, the other screen has traffic and speed cameras, settings for the units or date or battery settings and about icons. Pressing the search beings up the keyboard, qwerty or abc depending on settings, type the full postcode, or road name and you are given options to choose from. You are also offered the option for on map, near me, in town or city, along route or near destination. Great little function that could get even better with more and more firmware updates. Calculating the route takes only a few seconds and you are on your way. There are many options to choose what you want the voice to say, early instructions, road names and or numbers etc. My old unit had a big long aerial that plugged into the bottom and also had to be stuck to the screen, very untidy and was only updated via the road RDS signal anyway, it never worked that well. My old unit also had connectivity for Bluetooth, Apple and their big brother mentality wouldn’t connect to it, which was one of the reasons I changed to Android. Now you Bluetooth your phone and use the phones data plan to get real-time updates. The traffic works flawlessly and accurate. Coming home a while ago there was a big hold up on the M11, the unit piped up with a quicker route if I wanted. I accepted and it took me all over the place for about ten or fifteen minutes. Eventually it brought me back onto the slip road almost at the front of the queue. Total waiting time, couple of minutes. Incredible result and I always let it take me around the hold up if its longer than five minutes. There is always the plus or minus arrows for old school zooming, and just above that is the 2D/3D toggle. I would liked to have seen a battery icon but if you’re in a car what’s the point. It’s only if walking you would need that. To be fair I would use my Google Maps on my phone if I was walking not the satnav. There are options to add to the route or avoid when selecting your route, you have the options for fastest, shortest, most eco-friendly, avoid motorways, walking or cycle. Ferries , tool roads etc are also options to configure with a simple slide over button. The time is automatically set for you but you can have twenty-four hour or am/pm if you want. The unit will auto dim down when it gets dark if you want it to. The volume is also easier to find as well. I have seen so many people verbally giving these new maps a pasting, I’m not sure why. There are reports saying the colours aren’t very good, but why do I want to see pretty coloured roads when I am not on them? The roads you travel on are in colour, the rest are dark grey, you can see the roads on the roundabouts fine but only the one you want is highlighted. Click on any of the pictures to see the larger and clearer images. The auto zoom function for the turns is there and can be turned of if you want. The new maps took a little while to get used to for all of about ten minutes! Now my old one looks like somebody has flicked a paintbrush all over it. There is still the great lane change guides here as well when you need them. The map even has an option for early announcements of directions if you want. The maps on this model are free for life. 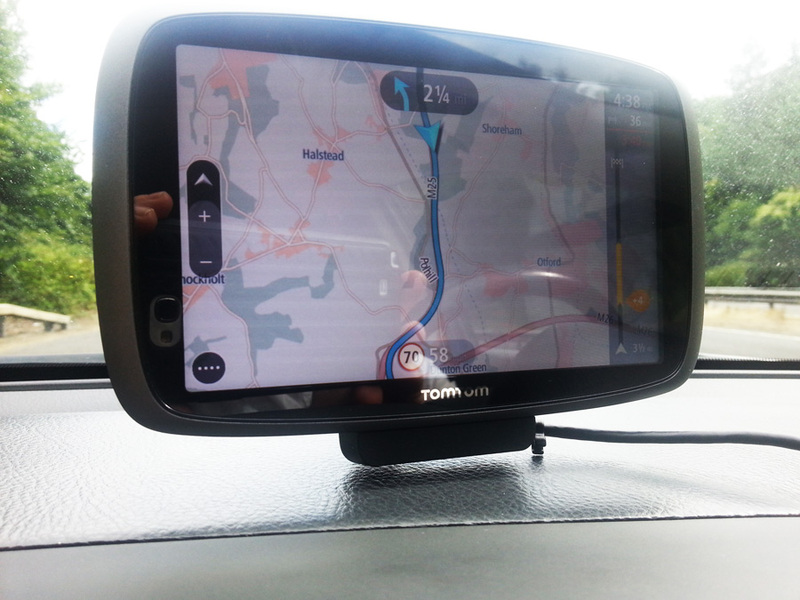 Life only means while TomTom support the device, yearly maps is around the £75 mark and if the support is only three years for the unit, then you have got your money’s worth out of it. 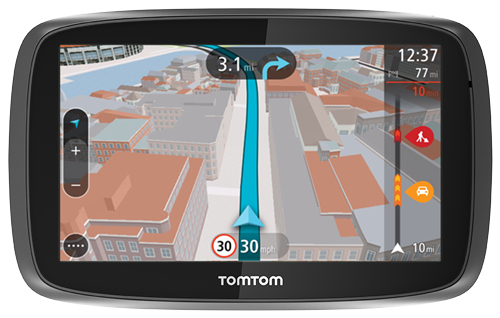 To update your new device you have to drop the TomTom home program and use MyTomTom which is web-based. My account picked up the new unit within seconds and applied an update to it before I had a chance to hit the road with it. There is plenty of internal storage space left, just over 6.2GB with the UK map already on there. You can add other maps from the store, or purchase the memory cards to slide into the bottom of the unit, just to the other side of the cradle connections. Swapping maps is dead easy, one level down from the main menu and select your map. The unit comes with three months free which I think is a bit stingy to be honest, six months would have been fairer. Again this is subscription at around £20 a year. Still cheaper than a ticket and your insurance going up. The speed camera mapping still has some old cameras in place and is not the most accurate of systems still as it sort of relies on user feedback and TomTom validation it’s still good. I had a similar speed camera app on my phone which was supposed to be brilliant, I ran them together and the app didn’t pick up a couple that TomTom did, I had a false alarm where the app didn’t. 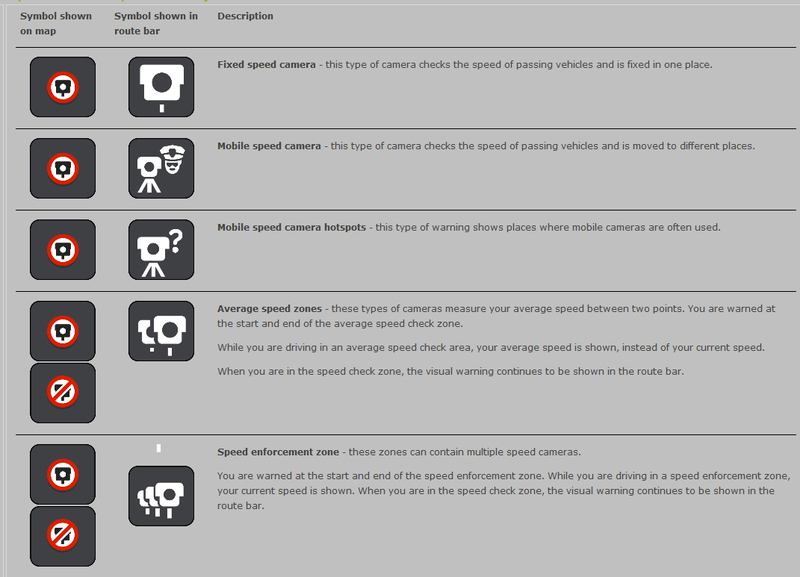 The speed cameras mentions mobile speed cameras so it must be updated regularly to cater for that. I have yet to see that working! Click on any of the pictures to see the larger and clearer images. The points of interest are not present here on these maps as a download for your interest what ever that may be, such as supermarkets or low bridges or wild life parks etc. There is however a brilliant function for petrol stations and parking. From the map just click on petrol or parking icons and they show on your map, tap one and you are guided to the location. It worked great for me while looking for a car park in a strange town. Try and beat that? When arriving at certain destinations the map will change to 3D buildings etc. This is not for every town, just the bigger cities. I expect this could be expanded on, I don’t know for sure. The 3D buildings are not perfect but pretty damn good, and when driving in London, you can look for turning just past that big building etc. I liked it as a function and just adds that little extra to your navigation without distraction. The symbols make sense when you understand what they mean. It took me a little while to find out so I have posted the main ones here for you. I have tried to show them in action but the reflection from the unit makes it difficult to see but you can just about make them out but here are the official explanations. Click on any of the pictures to see the larger and clearer images. The best part of this unit is the fact it gets on-line real-time updates via my phone and tells me what is going on with the roads I intend to be on or near me. Going across the QE2 bridge it showed delays which was incredibly accurate. Crawling through the traffic you can see the hold up stops exactly where the toll gate is. I was impressed again. Click on any of the pictures to see the larger and clearer images. Here I was stopped at a toll booth to pay the fee, the TomTom has me exactly at the front of the hold up and shows a clear road in front which it is. There is limited amount of accessories for the unit at the moment, but that is being added to all the time as well as are the prices getting cheaper. I bought a case for mine which was £10 when I was expecting something in the box, but no. 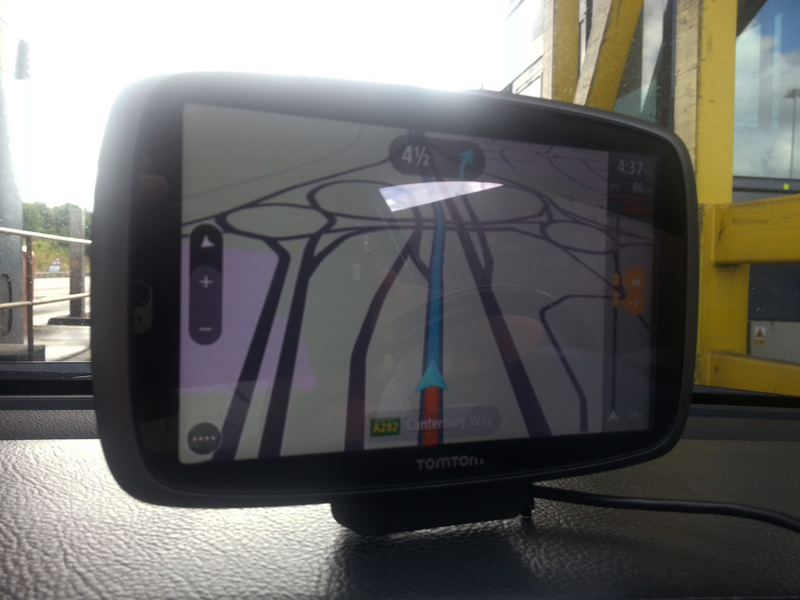 Come on TomTom who doesn’t have a case for an expensive piece of kit? The rating was difficult. The maps are better and more fluid to use. The search options are much better. The lack of a simple hands free to answer a call has pulled the score down. All the extra functions I had on my old 920T I didn’t use, so the lack of them here seems like it’s missing to start with but the bits you need are all there and improved. So you want a pretty car on the map? Big deal, are you watching he road or the little car on the map? Personally I want a navigation unit that does the job well, and this unit does exactly that. Functionality and accuracy are my priorities, not what colour shall I make the little pointer on the map. Would I buy it again? Definitely. I have also seen an article from TomTom themselves saying that customization is coming. That will be a firmware update I expect. Then those people out there who moan about not having a car symbol can get one when that update is released. I really like this unit and if a little more customization comes in for it I might up it to 9 out 10. 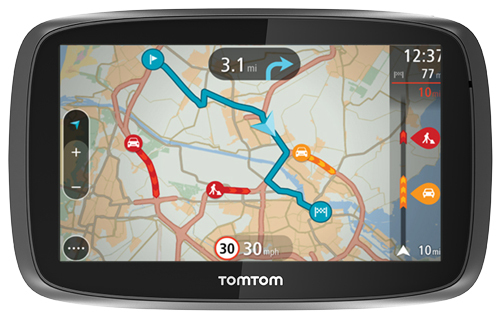 I believe TomTom have focused on getting the basics right to get you where you want to go without any aggravation. The fact that there is no hands free is a little bit annoying, but I have ordered a blue tooth earpiece for my phone that cost cost me a pittance of £3 from Hong Kong including postage. I know it wont be brilliant but as long as it does the job I will be happy. Besides hands free is struggle to hear the call on a noisy road, if its in my ear I will be able to hear properly. In short, if you want lots of customization then doesn’t have that, Yet! But if you want to search somewhere and get there with minimum fuss, then this s for you. The lifetime maps alone would make it worth while. Hi, Thanks for the comment. The firmware is improving all the time. I want my TT to tell me where to go and do it well, in night mode on an old TT you don’t get many colours anyway so I really don’t see the issue. I have got used to it and I would buy it again without a doubt. The speed cameras should have been a year, but I may well pay for them. The best bit of the TT is the connection to the phone for the traffic alerts real time on the map. It tells me where the jams are and asks if you want alternatives. It works brilliantly for the start and end of the traffic que. I love this version of the TT over my previous two navs. As for the blue tooth phone functions, I bought a earpiece from Hong Kong for £3 and it’s better than any hands free anyway. So therefore it’s a win win. How often do I make calls going along? Like none, even when I had the function previously on my old Go920T. Please let me know what you think once you get going with it. You may need the manual for the signs on the unit though. It took me a while to find them but I got them in the end and edited them for easy view. Thanks again and all the best. Happy travels.